It is not what the audience in the London Assembly’s meeting chamber – or at least the large contingent of badge-holding London Taxi drivers present – wish to hear. Their response is a mixture of jeers and shouts (“Liar!” “All we want is fairness!”). Anyone who has attended (or watched via webcast) Mayor’s Question Time, the monthly session in which the London Assembly cross examine the Mayor, will know that it is not always an entirely peaceful affair. On occasion, under particularly firm questioning, the Mayor’s public image of bluster and insouciance can slip, replaced by a harsh temper and a tendency to shy away from facts. The assembly members themselves are also not above the odd piece of political grandstanding, aware that the session can be used as much as an opportunity to espouse views as it can be to question them. Nor are interruptions from the gallery (all sessions are open to the public) unheard of. The May 2015 session was, however, far more atmospherically charged than most. For it included coverage of a topic which has become increasingly emotive – the future of London’s Black Cab trade, and the suggestion it cannot continue to survive in its current form. 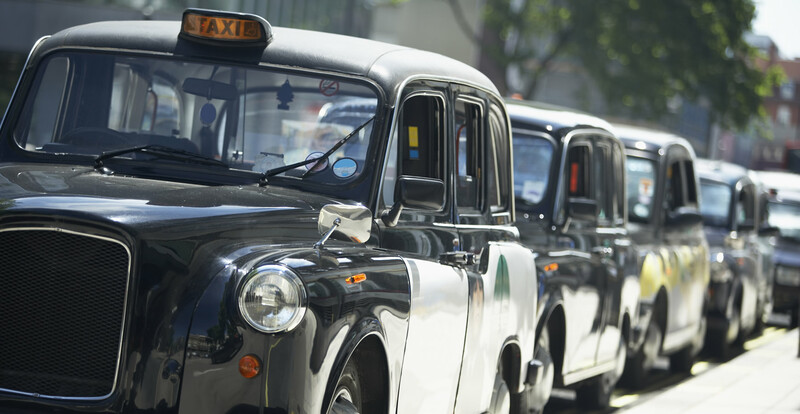 To truly understand the current issues relating to London’s Taxi and private hire trades one must first understand the history of the former, and what differentiates it from the latter. In essence, London’s iconic Black Cabs (and the regulation and definition thereof) can be traced back to the short-lived days of Cromwell’s English Republic. It was in 1654 that Parliament passed the first law aimed at addressing the “many Inconveniences [that] do daily arise by reason of the late increase and great irregularity of Hackney Coaches and Hackney Coachmen in London, Westminster and the places thereabouts.” By 1662 a licensing system was in place, limiting the total number of cabs to roughly 300. That licensing system – albeit with considerable changes – remains in force today. One of those key changes came in 1833, when the limit on the number of licensed cabs was removed. Instead, the system was changed so that it was drivers, rather than owners who were required to obtain a licence. To do so involved demonstrating that one was a “fit and proper person” – a requirement which remains in force today. 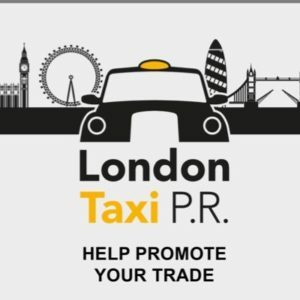 The next great change came in 1865 with the introduction of one of the most iconic elements of London’s Taxi trade – a requirement for drivers to pass “The Knowledge” in order to obtain a licence. Brought about in response to the many complaints received by visitors to the Great Exhibition, the underlying objective was to ensure that all licensed cab drivers had a reasonable knowledge of London’s layout and streets. It still serves the same objective today. Nor has the examination process changed significantly in that time. The full process is described in some detail here but in essence the applicant is required to memorise every road within a six mile radius of the King Charles I statue at Charing Cross (the point from which all road distance to London is measured). They are also expected to memorise the locations of a wide variety of major landmarks, theatres, public services (such as police stations and hospitals) and other common places to which a passenger may require taking. Firstly, using maps, work out the most direct route between the start and finish points. When you get to a start point you must first learn the area within a 1/4 mile (400m) radius of that point and make a note of the places of interest/important features you see. You need to learn the roads that join the places you find to the route. Take time and trouble to do this, it is important. When travelling along the route take note of any important features you see (Features are not only points of interest, but also include one-way streets, prohibited turns, etc). At the end of the run you must investigate the area within a ¼ mile (400m) radius of the finish point for places of interest and important features. Learning the area around the start and finish points of all 320 runs will ensure that you comprehensively cover the area within the six-mile radius of Charing Cross and build up a good working knowledge. Remember that because of one-way streets, no right turns, etc., the forward and reverse routes may be different. You will need to know both directions. As can be intimated, passing the Knowledge is no mean feat. It is small surprise that passing it can take up to two years, nor that, as the graph below shows, the number of those successfully attaining their Green Badge each year is significantly lower than the number who attempt it. Indeed it is this barrier to entry that has not only helped cement the international reputation of the London Taxi driver, but also ensured that an upper limit on the number of licence holders or vehicles (as exists via the medallion system in cities such as New York) has never needed to be re-introduced. If it is the Knowledge that makes London’s Cabbies unique amongst the city’s drivers, then it is the strict requirements placed on their method of transport that makes them unique on its roads. Known collectively and colloquially as “Black Cabs” (whatever their colour) they are subject to heavy regulation related to turning circle, disabled access and a wide variety of other factors (including, increasingly, emissions). It is for this reason that only a limited number of vehicle types have ever been licensed for use – perhaps most iconically the Fairway (pictured at the head of this article, of which over 75,000 were made) and its visual successors as well as, more recently, vehicles based on small van designs from the likes of Nissan and Mercedes. Unfortunately this need for highly designed vehicles comes at a hefty price – potentially £40,000 or more for a single vehicle, as well as limited options (and thus hefty prices) for parts and maintenance. London’s Black Cabs also have one other unique attribute that is critical to understanding both the difference between them and the regular minicab trade, and also to understanding where the bulk of all current issues lie. They are the only vehicles in London allowed to have, and make use of, a taximeter. The presence of that taximeter is required because London’s Black Cabs are the only vehicles in London permitted to “ply for hire.” That is, solicit or (the bit that often gets forgotten) waitfor passengers without any pre-booking. This, then, is (and has been) the fundamental difference between the Black Cab and minicab trades as long as they have both have existed. Minicabs can take passengers but must have been booked in advance. Conceptually speaking this disadvantage is counter-acted by the fact that, whilst they too are regulated by TfL, they are subject to far less obligations with regards to the nature of the vehicle they use and the level of knowledge of London’s streets they must have. Overall this saving in equipment and required skill level is passed on to the passenger in the form of a far cheaper journey. Hailing a Black Cab, by contrast, will (theoretically) see the passenger pay a premium for the privilege of getting a service on demand, as well as a perceived better level of service. In most cases it also translates, for vulnerable or disabled passengers, to the security of knowing that they will be able to make their journey without prejudice or inconvenience. In part thanks to the accessibility of the vehicle and level of training and scrutiny received by its driver but also because in return for the right to ply for hire Black Cabs have, for almost a hundred years (since the Hackney Carriage Act 1831), been subject to the rule of “compellability” – if you hail a Black Cab then (with a few common sense caveats added and modified over the years) the driver must take you where you want to go, at the regulated fare. This split in the taxi market – essentially between pre-booking and ply for hire (and all the differences related to the natures of those trades) has arguably long served London’s taxi users well. That is not to say that, on the industry side, it has always seen easy relations. Touting – the practice of illegally plying for trade by minicabs – has long been a problem. That, historically, this has not been taken sufficiently seriously by the regulator (previously the Metropolitan Police but since the turn of the century TfL) has been a frequent complaint from the Black Cab trade. In their defence, TfL have been at pains to point out that, since becoming the regulator, they have worked hard to clamp down on the practice. This is not just because of the impact it has on the Black Cab trade (and, obviously, its illegality) but because touting is often practiced by illegal minicabs. The dangers of illegal minicabs is that rare thing on which all three elements of the industry (Black Cab, minicab and regulator) entirely agree. Illegal minicabs pose a threat not just to business but to the safety of road users and the general public who (wittingly or unwittingly) use them. Their vehicles are unlicensed for taking passengers (and thus will not have been safety checked or appropriately insured) and their drivers will not have been vetted to ensure they are not a danger to their passengers. Given that a significant percentage of London’s cab journeys take place at night when women (and men) are trying to get home after the Tube has closed this is an unacceptable risk. TfL have, in recent times, run multiple hard-hitting campaigns to warn potential passengers of the danger. They have also worked closely with the industry to try and identify particular hotspots and act upon them. [T]he proportion of women approached by touts at the end of a night out in London has reduced by 77% since 2003. Since April 2013, the TfL funded Cab Enforcement Unit has reported 148 drivers for unlawfully plying for hire, resulting in a 97% conviction rate of those that have gone to court. Those are numbers of which TfL can justly be proud but, as always with single number statistics (especially when they’re percentages), it is worth digging out the actual data. Most pertinently in the case of this article the raw numbers behind that drop in touting. These are illustrated in the graph below. The graph goes some way to highlighting why, despite TfL’s genuine success in helping curb touting, the Black Cab industry itself remains frustrated. The initial impact of TfL’s more rigorous approach to enforcement was huge. By 2010, however, the “quick wins” had been made. Since then, the perceived level of night time touting has largely remained static at about 15% of respondents. This is not because TfL have stopped enforcing but simply because the type of enforcement required to make a further impact is both more complex and expensive. As with all enforcement in the world of transport, it is rarely possible to eradicate something completely (there are some wonderful peculiarities when it comes to enforcement and effect on fare dodging on buses that are worthy of an article in themselves). That is very much the case here, and were it not for outside factors it may well be that keeping touting at that 15% level may have been enough to at least avoid significant harm to the existing industry even if it was obviously far from ideal. Since 2010, however, technology has begun to have a significant impact on the London market – and then in 2012, Uber arrived in London. The arrival of Uber may well have brought about the most significant disruption caused to London’s cab trade by technology, but it is not the first. It goes without saying that the arrival of the sat-nav (and their ever-increasing improvement) has significantly undermined one of the unique selling points (USPs) of the Black Cab – The Knowledge. Still, however, it is fair to argue that the labyrinthine nature of London’s streets, as well as the arcane art of finding a way through its traffic flows give the Black Cab driver the slight edge. The sat-nav did, however, put an early dent into the benefits of the Black Cab over the minicab, beginning a squeeze on the existing industry that has only gotten worse. In corporate terms though, the honour (dubious or otherwise) of directly disrupting the market arguably belongs to a more traditional minicab firm – Addison Lee. 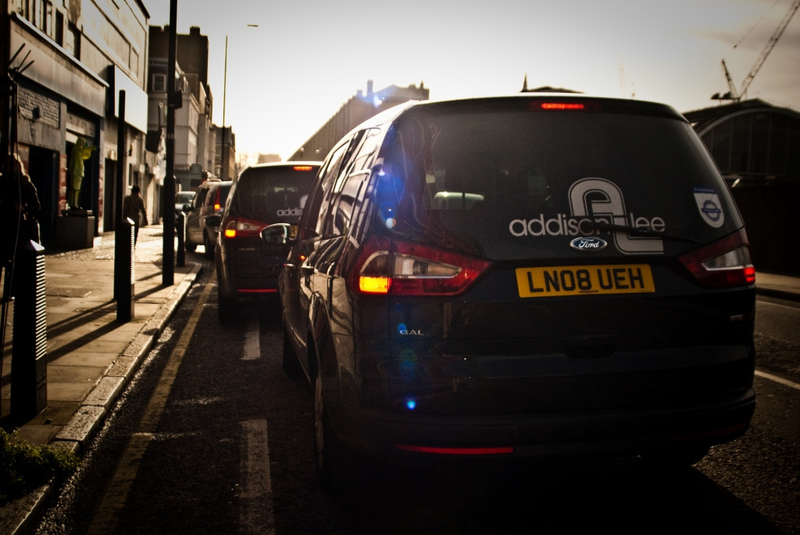 Over the last five years Addison Lee have, by primarily focusing on the presentation of both drivers and cars, set about challenging perceptions – particularly for business users – of the traditional minicab. A Black Cab experience, the theory goes, with near-minicab prices. More critically Addison Lee became (and remain) a massive investor in technology, spending over £1.5m a year on websites, apps and devices to both create a quality (and easy) experience for those looking to book taxis, and to find efficiencies in driver control and routing. The Black Cab industry’s reaction to the increasing pressure placed on their market by Addison Lee was understandably not a happy one. Nonetheless, as long as the firm has stayed within the bounds of its licence as a minicab firm it has largely been free to operate as it sees fit. That is not to say that there haven’t been issues. Accusations of behaviour bordering on touting, of unsuitable drivers and driver behaviour, predatory behaviour and a host of other infractions were voiced by representatives of the Black Cab trade almost from the point where the firm’s real impact on the industry began to be felt. For many this perhaps represented the first point at which relations between the industry and TfL, as regulator, began to deteriorate – with the perception from the Black Cab trade being that TfL were failing to respond quickly, or seriously enough to potential issues with Addison Lee. TfL, for their part, were always keen to stress that as long as the firm stayed within the bounds of their licence there was nothing they could, or should, do. Indeed it is perhaps significant (and relevant to the Uber situation) that it was arguably the actions of Addison Lee themselves which ultimately woke TfL’s near-sleeping regulatory giant, rather than the Black Cab industry itself. In 2012, Addison Lee Chairman John Griffin effectively declared the company’s own private war on an organisation that was also London’s bus operator by telling his minicab drivers to drive in bus lanes. This was a privilege previously reserved for Black Cabs and something that minicabs were emphatically not allowed to do. Griffin felt this was unfair, and – very publicly – told TfL he wasn’t having any of it – his cabs would go where they liked. The resulting conflict was one which, in hindsight, Addison Lee had little hope of winning. TfL flexed their muscle as minicab regulator, then Addison Lee attempted to fight back in court – both in the UK and, when that failed, in the European Courts. In short, there they argued that banning minicabs from bus lanes, but not Black Cabs, represented an act of “State Aid” on the part of TfL. TfL argued that because Black Cabs needed to ply for hire they, by necessity, needed access to the kerb at all times. Significantly, Addison Lee then brought an App into their argument – Hailo, which had been designed to help Black Cab drivers find nearby fares (and vice-versa). 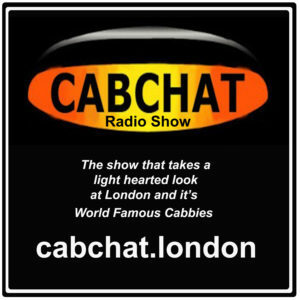 Addison Lee claimed that 60% of all cabs now had access to the App, which meant that ply for hire was on the way out. TfL fought back with survey numbers, which highlighted that 52% of all Black Cab journeys still began with the passenger hailing the cab. In the end, the case was decided not by technology but by that oldest of clauses from way back in 1831 – “compellability.” The European Court ruled that because a Black Cab was obliged to pick up passengers, percentages didn’t matter. It wasn’t that TfL were aiding Black Cabs, they were simply exempting them from otherwise reasonable restrictions by reason of necessity – the necessity to ensure that the Black Cab could get to the kerb and pick up a passenger to whom they had a requirement to respond in a way that was both safe and reasonable (particularly for those who were mobility-impaired). The case obviously did not signal the end of Addison Lee, nor of their conflict with the industry. The firm remain a major player in the London market, and one of the factors contributing to the squeeze on the traditional trade. But to a certain extent it represented a very public clipping of their wings. Pertinent, however, is that – in the eyes of some – it was the potential impact on TfL’s bus operations that ultimately tipped company and regulator into conflict, not the problems facing the Black Cab trade. As many of the comments made at the recent MQT (Mayor’s Question Time) made clear, for those supporting the Black Cab trade there is a distinct fear that the same situation exists again now in the face of what has become an even greater threat – Uber. Behind the scenes, Uber’s operations are naturally more complex. The advice TfL received on the legality of its operating model is here and provides a surprisingly good, detailed, explanation of how it operates. Broadly speaking the principle is that Uber is, essentially two companies. The first Uber London Ltd (ULL), is based in the city and essentially employs all Uber drivers. 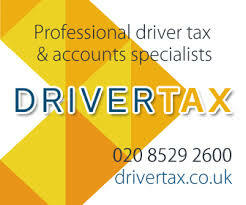 It is this firm that is licensed as the operator, and which employs licensed minicab drivers. The firm is also responsible for all promotion of Uber, as a service, within London, and for equipping drivers with the GPS and Smartphone equipment which they all must use (and which ensures that their last known location is logged frequently). ULL are also responsible, via those devices, for dispatch and booking. In effect they provide all the functions of a regular minicab firm. The only thing that they don’t do is calculate fares or charge money. The second firm is Uber BV (UBV), based in the Netherlands. This company is responsible for the actual Uber App that potential passengers use. When a customer wants to be picked up the App queries the location data available via a link to ULL’s cloud-based servers and reports back to the customer. The customer then picks the vehicle they want, which is dispatched automatically, via another request to ULL to the customer’s location. What’s crucial is that it is that all elements of fare calculation are carried out, on the fly, in the cloud by UBV and communicated to the passenger and driver via their respective Apps. No cash changes hands within the vehicle itself as payment is also taken by UBV and not by ULL. The purpose of this curious, but deliberate, arrangement and distribution of activities is simple. It allows Uber to essentially act as if there is a taximeter in the vehicle and offer a ply for hire model, but in a way that – as TfL’s legal advice shows – seems on the surface not to break any specific rules on how minicabs should operate. This is because the current definition of a taximeter is a device that is physically attached to the vehicle and which utilises that connection to calculate the fare (either via time or distance travelled). Uber does all of this in the cloud. This is a critical problem for the Black Cab industry. Uber are able to provide the same quick-response service (indeed for the modern, connected citizen perhaps even a better one) at a far lower price than Black Cabs can offer. If sat-navs removed the USP of the Knowledge, then Uber have also found a way to remove that of the right to ply for hire, without any of the concurrent obligations. TfL have requested a ruling from the High Court to confirm that Uber’s methods do not equate to a taximeter in all name, but as is clear from both their own comments on the matter and those of the Mayor, they are clearly not hopeful of a ruling any other way. What’s more, if the comments of the Mayor are any guide, they seem resigned to the fact that even a successful ruling would only represent a stay. As a heavy user of cutting edge technology themselves, TfL seem to have accepted that if required Uber would find a way to rapidly iterate their way out of the digital problem. It is this seeming acceptance of a technological fait accompli that is clearly contributing significantly to the anger and frustration within the Black Cab industry and its supporters. It is symptomatic, perhaps, of a disconnect between how the industry sees its regulator and how that regulator sees itself. Squeezed now by both the minicab trade and Uber, the Black Cab industry sees preservation, not just regulation, as a crucial part of TfL’s role. From their perspective this is a belief that they increasingly don’t see shared. Indeed one particular exchange at Mayor’s Question Time perhaps highlighted this more than anything else. It is unfair, of course, to say that TfL are unaware of the threat to the status quo that Uber represent, or are entirely immune to the issues that Black Cab drivers face. Indeed those looking for the same kind of bus lane moment that happened with Addison Lee may have, in fact, now seen it – and it may well be the risk of congestion (along with pollution, an increasingly hot-button topic for TfL). As the Mayor was keen to point out, beyond the direct impact on the Black Cab industry, the growth of Addison Lee, Uber and the minicab industry in general has begun to have a serious impact on the number of cars on London’s streets. Shortly after the General Election the Mayor’s office released a press note which pledged to seek new powers to regulate pedicab and minicab traffic on London streets. The pedicab pledge is ultimately nothing new (the same pledge was made back in 2012). What was new was the call to be able to limit the number of licences issued to minicab drivers and operators. The growth of private hire vehicle drivers in the last 18 months (from December 2013 to date) is approximately 18%. The Mayor is concerned that this unprecedented rise in numbers is causing increased congestion, particularly in central London, as well as more pollution and problems of illegal parking. It’s a startling increase but again, it is worth unpacking some actual numbers. As the graph above shows, whilst Black Cab numbers have remained practically static, minicab driver numbers have been on a general, consistent, rise for some time – ultimately culminating in what was indeed a serious spike last year. Whether that spike is an outlier or not remains to be seen, but ultimately that may not really matter. It is clearly enough to cause concern to TfL. That concern, and their initial response to it, were laid out in more detail by the Mayor at the beginning of the MQT taxi session. The Mayor indicated that a number of options were now under consideration. Firstly, there would be the aforementioned quest for powers over quantity licensing (although it should be noted that this did not, as he had intimated it would, make it into the Queen’s Speech). Beyond this, a number of other options are being considered – including a requirement for licence-holders to speak English, to pass a basic geography test without recourse to sat-nav and for complaints about minicab behaviour to go directly to TfL rather than via their operator. The response from the Assembly, and indeed from the assembled Black Cab drivers, to this announcement was lukewarm at best. On the surface, this may seem surprising. But it lies in the fact that the London Assembly has already issued its own report into the current state of the taxi industry – back in December last yar. Entitled Future Proof. It contains 19 recommendations, which essentially boil down to a need for a long-term strategy for the development of both the private hire and taxi industries. Most of the things that TfL have mentioned were already recommended there, and it was clear that there was a feeling, justified or not, that once again the regulator was lagging behind. Ultimately, Future Proof advocates a strategy that should see enforcement stepped up, greater regulation over the minicab trade, greater requirements expected of drivers and cars, increased investment in taxi ranks and other street measures aimed at alleviating the pressure on the hard-pressed Black Cab trade. All measures aimed at ensuring that at least if the minicab industry is to stay the same, that the current black areas of touting, virtual ranking and similar can be removed and that business unlocked to the Black Cab trade. Some of these things clearly overlap with the Mayor’s announced plans. Others, as TfL’sresponse to the initial Future Proof report shows are things that they entirely agree with and which in some cases are already under way. What’s clear, though, is that a fear remains that TfL will not take these measures as seriously, or indeed as quickly, as the industry feels it needs. That and, again, the thorny subject of Uber – something that the Assembly (and their report) make no bones about admitting remains an issue that needs to be addressed. Ultimately, as this article (and the length of it) demonstrates, the current debate is one that lacks easy answers. Indeed even if the various issues facing the Black Cab trade are addressed then that still leaves one big decision left to make – what is to be done about Uber? 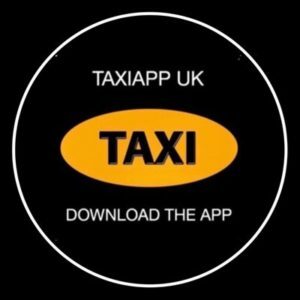 For even if all other issues are potentially addressed, there remains a distinct possibility that the App (and its effects) alone may be enough to significantly damage, if not unalterably change, the Black Cab trade forever. When it comes to that issue, currently at least, there seem to be two sides to the debate. On one side stands the Black Cab industry, genuinely fearful for its future. On the other, TfL as regulator, reluctantly accepting that its hands are tied, and a Mayor whose claims to simply be reluctantly following their advice perhaps don’t represent the full picture – which in truth naturally includes his own belief in the power of the free market. At the end of the day London, and its representatives, now face some harsh choices. It is not a case of deciding which side of the debate is right or wrong (they both are), but simply whether London’s Black Cab industry is genuinely worth saving. That this is such a difficult question to answer is due to the fact that, as the quotes littered throughout this article from both sides of the debate have hopefully shown, the answer largely depends on an individual’s point of view. From a pure market perspective the Mayor is correct as, from a current regulatory one, are TfL. In terms of pure numbers and cold, hard logic, services such as Uber now offer far better value to Londoners looking to get themselves from A to B and as long as Uber stick to the letter of the law they can continue to do so. That their operational model, and the way they break into markets, is far from friendly to both their own drivers and their rivals is not a secret, nor has it stopped an enormous amount of users from deciding to use their services. The counter argument, however, is that it is not about the letter of the law but the spirit. That it is not just about money but about preserving a 300 year old industry that not only provides a reasonable living standard for over 20,000 people but whose very existence is part of the intangible fabric of London. It is an argument that in many ways borders on the metaphysical, but it is also not one without merit or precedent. In the 1970s and 1980s London Underground became somewhat infamous for their declarations that their job was to run a transport network, not a museum. That attitude would prove to be a near-disaster for the living history of the Underground, with many of the most visible elements of its history simply swept away. That we know of the original iconic tile patterns and features that could be found in many of Leslie Green’s iconic stations is largely thanks to the efforts of volunteers who frantically sought to document them ahead of the arrival of the renovation teams that swept them all away. Similarly, it is almost entirely thanks to the foresightedness of design firm Banks & Miles (and the creative efforts of the then-young typographer Eiichi Kono) that the iconic London Underground typeface wasn’t discarded by London Underground in favour of a more generic typeface such as Helvetica. At the time, in both cases, London Underground’s logic was sound, but a similar scale of change would not even be countenanced by TfL now, as the organisation is fully aware of the role the Underground’s heritage and iconography plays in building a positive perception of the network as a whole – both to Londoners and the ever-important tourist trade. That contribution may be difficult to quantify, but that it exists is not disputed. There is a reasonable argument to say that the Black Cab trade has a similar effect. This, then, is London’s choice. To accept that the world of private hire is changing, or make a concerted effort to keep the Black Cab industry going, even though doing so may prevent Londoners from reaping the full benefits that technology can bring to the cab business. Whatever path the city takes, it must decide quickly. PreviousI HAD AN AWESOME DAY! I EARNED $5.33 AN HOUR! There is a significant section of cab users for whom the black cab will always have a significant, perhaps an indispensible advantage viz wheelchair users, for whom the current tx series provide the only way of securing a ride, other than specialist forms of hire vehicles.